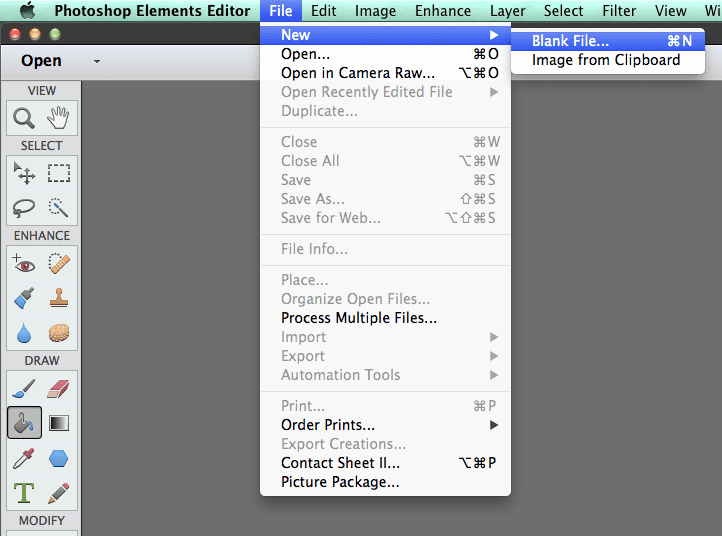 First, open a new file in Photoshop Elements by navigating to File–>New–>Blank File. 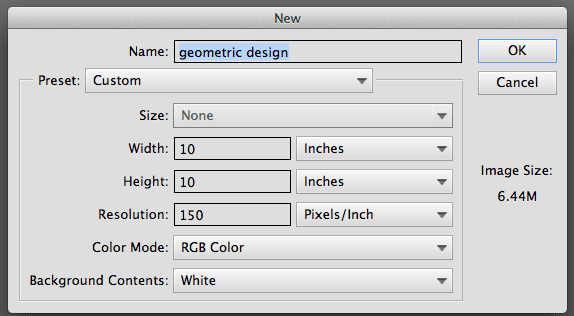 Set up your new file by choosing a unique name, setting the width, height and resolution. I chose 10 inches by 10 inches and a resolution, or DPI, of 150 pixels/inch. 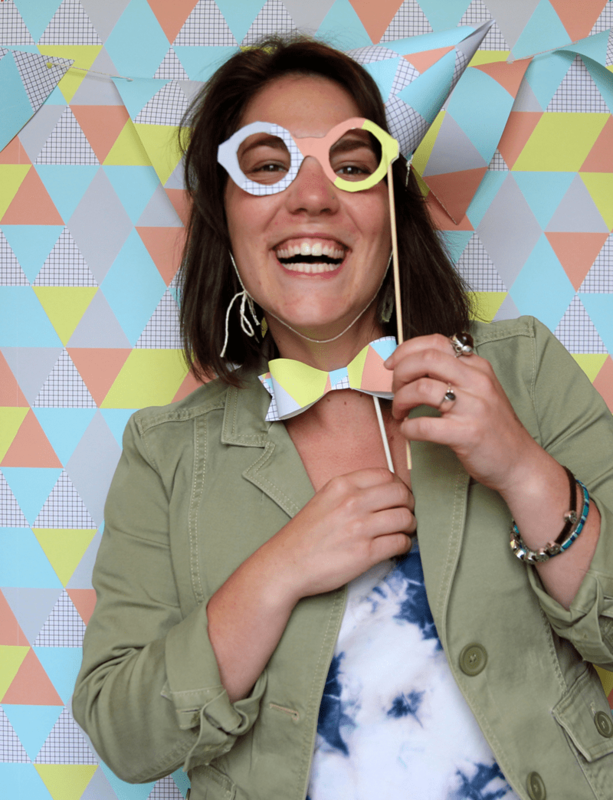 Spoonflower prints everything at 150 DPI. 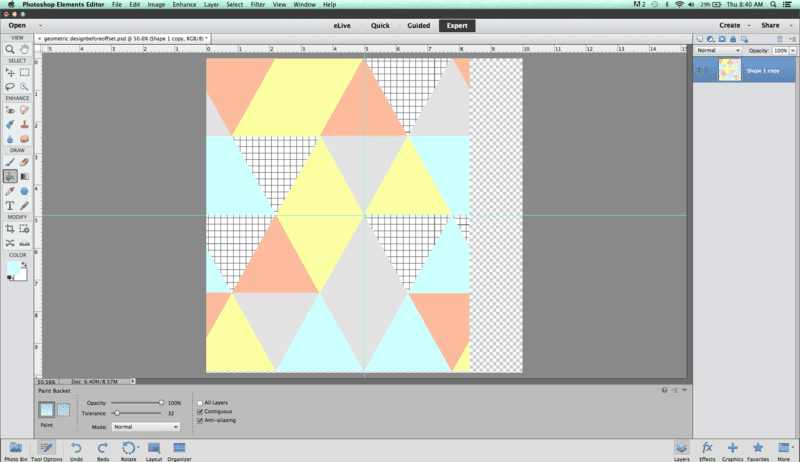 I'm going to go ahead and set my file at the correct DPI to avoid any changes in scale when uploading to Spoonflower. Set up your workspace. 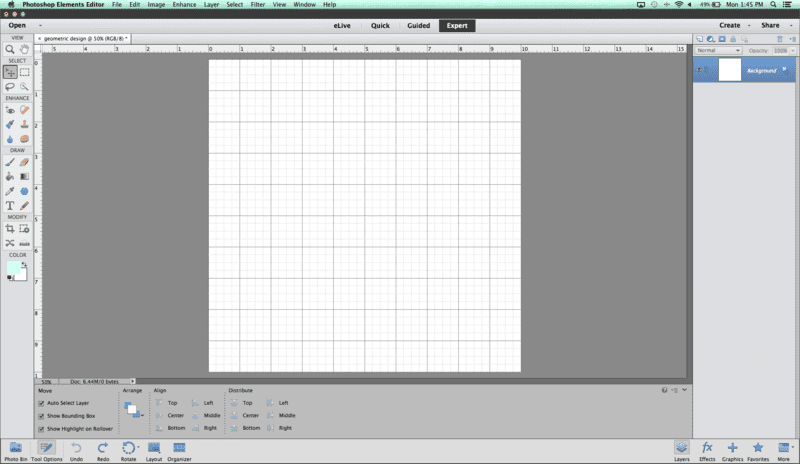 Before I start designing, I like view my layers and toolbar, and turn on the rulers and grid. 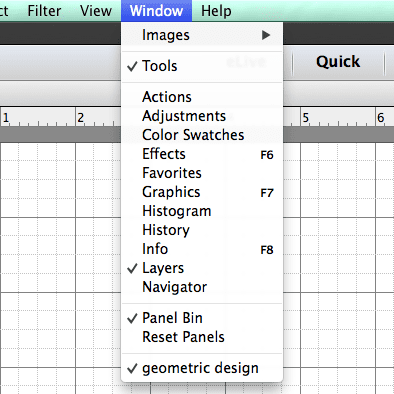 To turn on your toolbar and layers view, navigate to Window, and select tools and then layers. 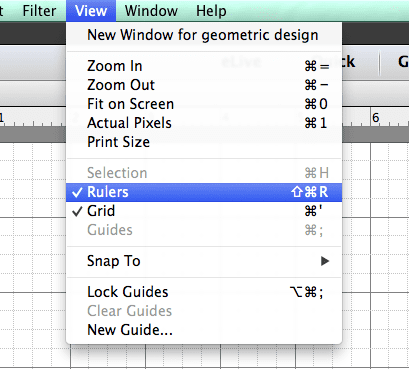 To turn on the rulers and grid, navigate to View and select Rulers and Grid. 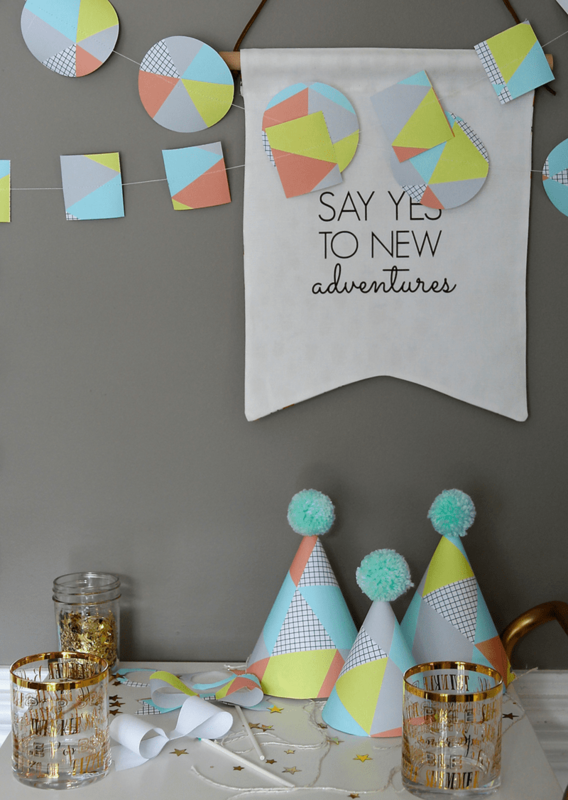 Now you have a workspace with the tools you need to start creating your design elements! Time to start designing! 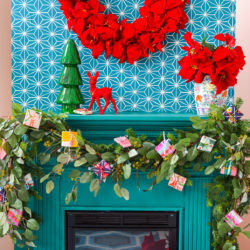 Decide what elements you want to incorporate into your design. 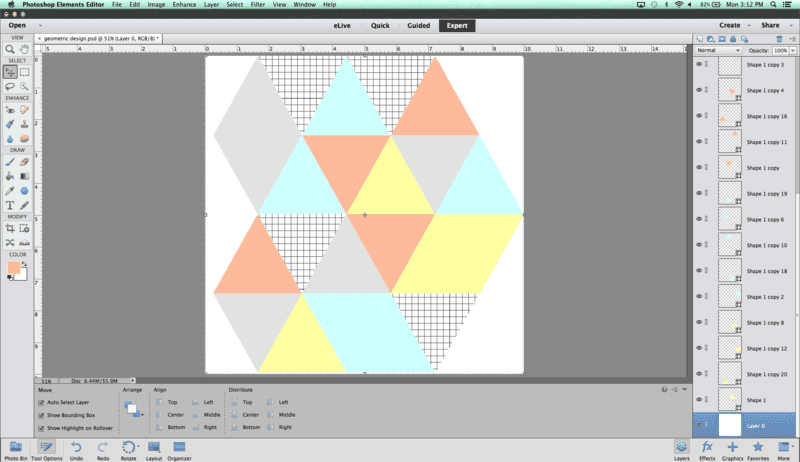 I wanted to create a geometric pattern using triangles. 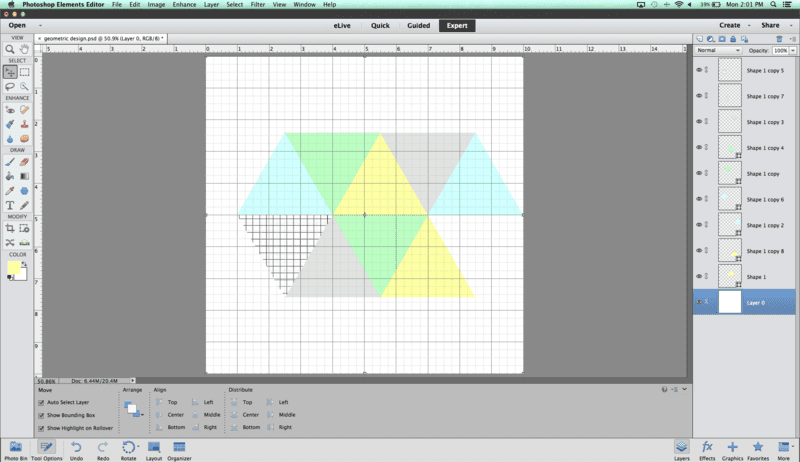 To do this, I selected the Polygon Tool (shown above) and used the polygon with sides set to three. Add elements to your design. At this point, you simply start building out your design. 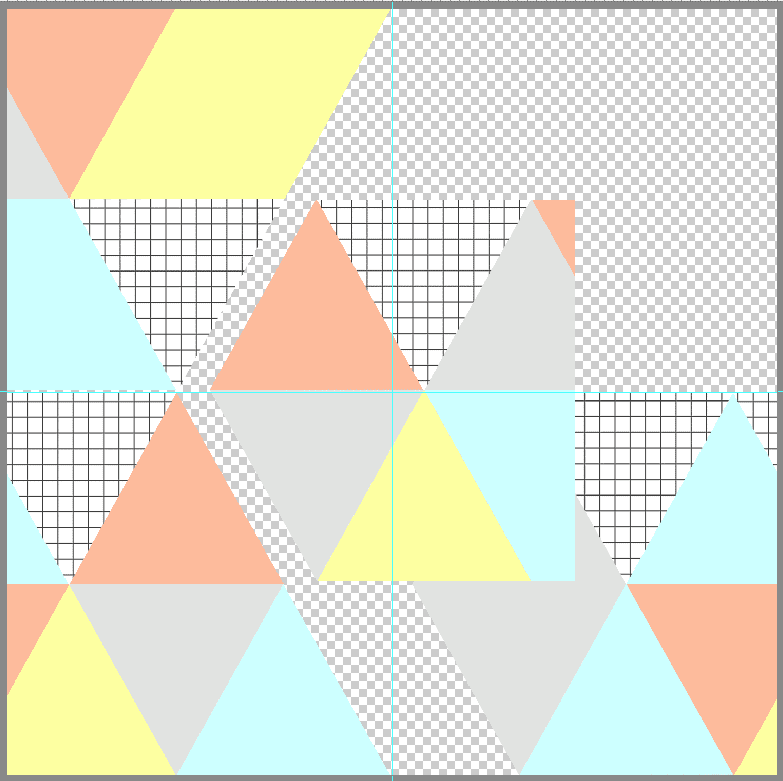 Using the Polygon tool, I added triangles to my file of various colors and fills. The Move Tool allows you to select each element and move it. If you double click an element while using the Move Tool, you will be able to transform that element by resizing or rotating it. 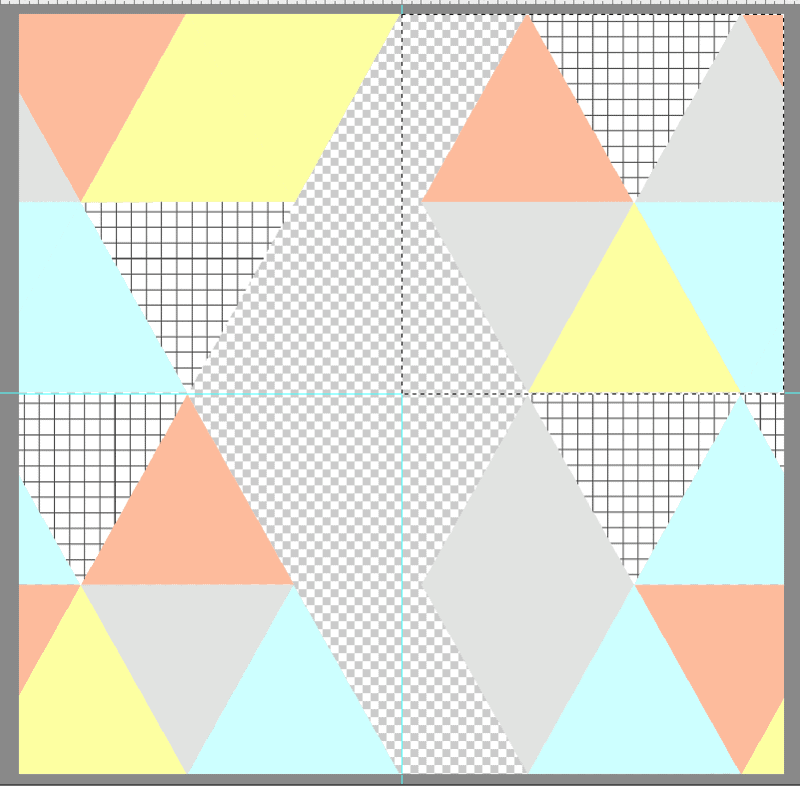 To resize, click the element then pull the squares at the corner of the box highlighting the element you are editing. When you hover just outside of the corner of the highlight box, a curved arrow appears allowing you to rotate your image. 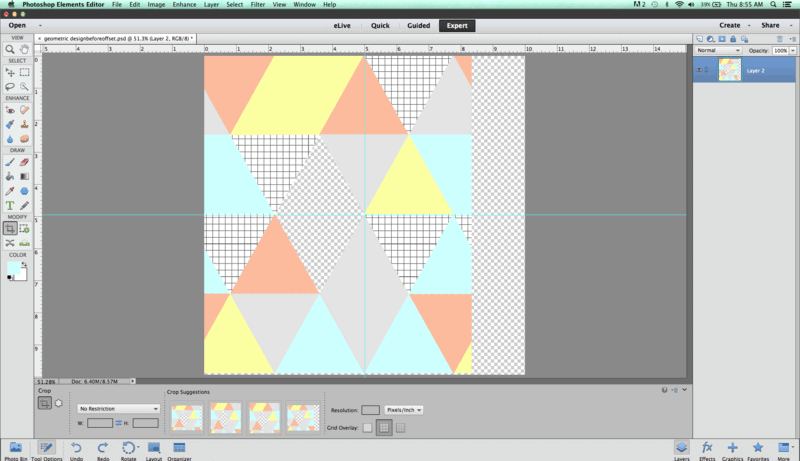 The hardest part of this step is making sure all your triangles line up perfectly. 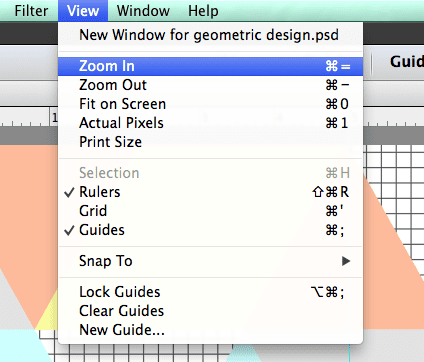 You can zoom in to your design by choosing View–>Zoom or Command =. By zooming in you will see if your elements are matching up perfectly. Using the arrow keys, you can nudge your elements up and down, and side to side. To edit any element, the layer must be selected, and you must be using the Move Tool. You will notice the selected layer will be highlighted on the layers panel on the right of your screen. 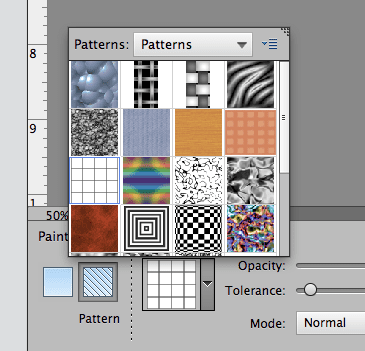 To change the color of an element, select that layer and choose the Paint Bucket Tool. 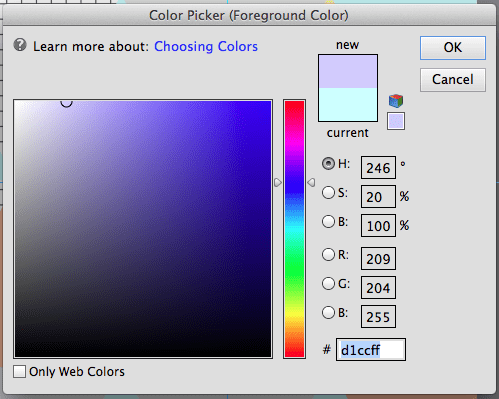 Once this tool is selected, you can choose your new color by double clicking on the color palette and using the new color palette window to choose a new color. Once you have your new color selected, simply click on the highlighted element that you would like to change, and it will fill the element with your new color. 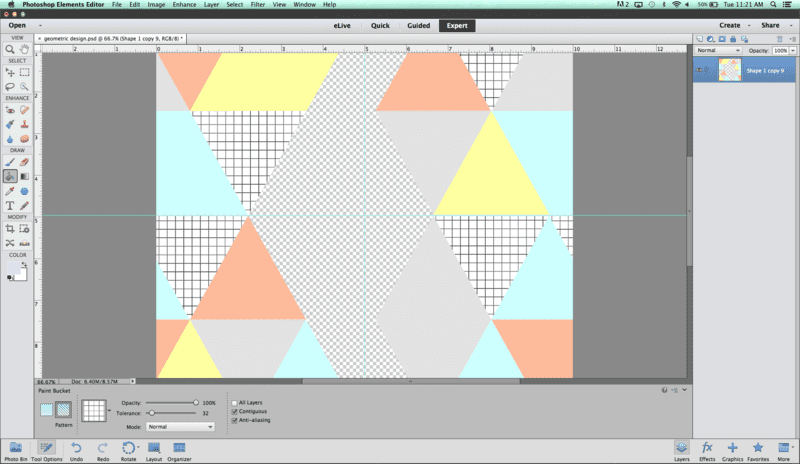 To use a pattern to fill, you will change from paint to pattern in the paint bucket tool bar. This tool bar appears at the bottom of your screen when you select the Paint Bucket Tool. 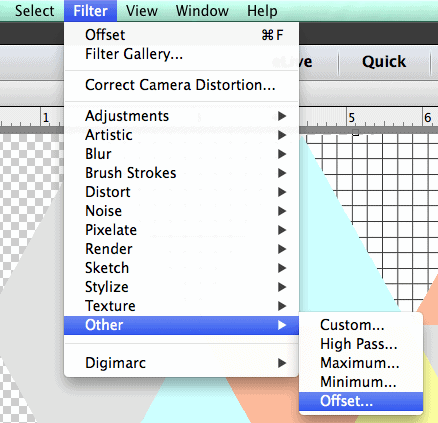 Once you have filled in most of your canvas, you're going to use the offset filter to create a seamless repeat. 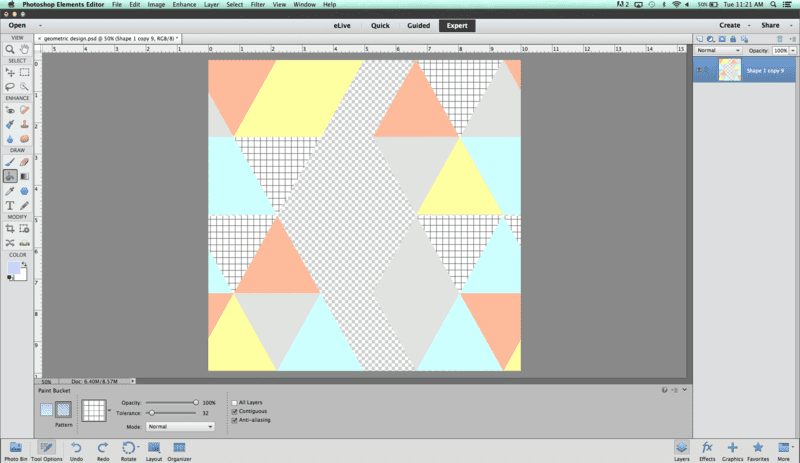 Using the crop tool from the tool panel, I cropped my image at the top and bottom to the edge of my design elements. Then, you'll want to delete the background of your file to create a transparent background with just your design elements. To do so, unlock your background (the bottom layer) by double clicking on it. It will now be labeled as Layer 0. 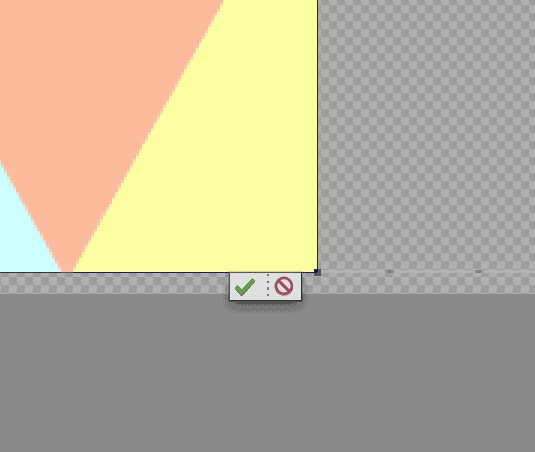 With this layer still highlighted, simply hit delete. Once you have a transparent background, now you will offset your design. Start by checking the size of your file. You will need the width and height in pixels. To view this information, navigate to Image–>Resize–>Image size. This window shows the width and height in both pixels and inches. 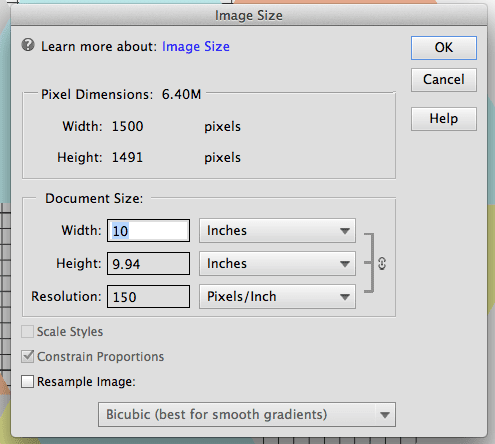 Make a note of the dimensions in pixels, and divide both numbers in half. 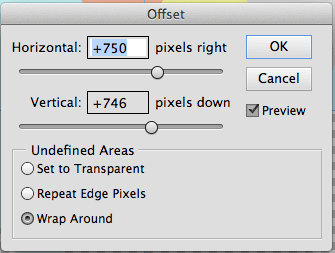 Now click Filter, go down to Other and select Offset. Here you will input your height and width dimensions divided by two, with Wrap Around selected. 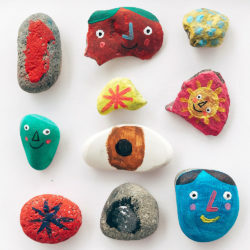 Now your design will look like this. 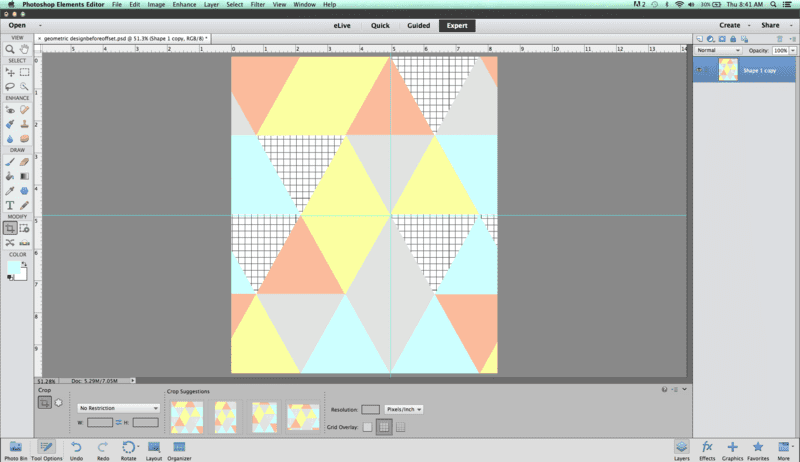 You will notice that the edges now match up, creating a seamless repeat, but we have some empty space to fill. We can do so by moving each corner of the design in to create a complete design. I added guides to my design to help illustrate where to break the design into four quadrants. To add guides, simply click and drag from the top and side ruler, (if your rulers aren't showing hit CMD or CTRL + R) then drop your guide where it needs to be. For this tutorial, you'll want to drop your guides at the center of the width and length of your canvas creating four equal quadrants. 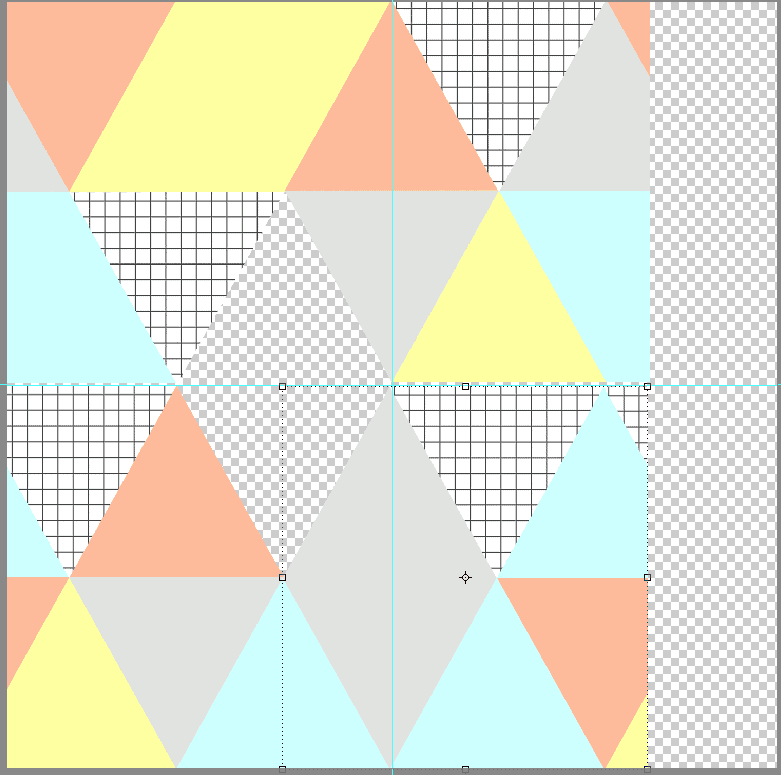 Using the Rectangular Marquee Tool you'll now select the top right quadrant by dragging from the top corner to the bottom of the top right quadrant. 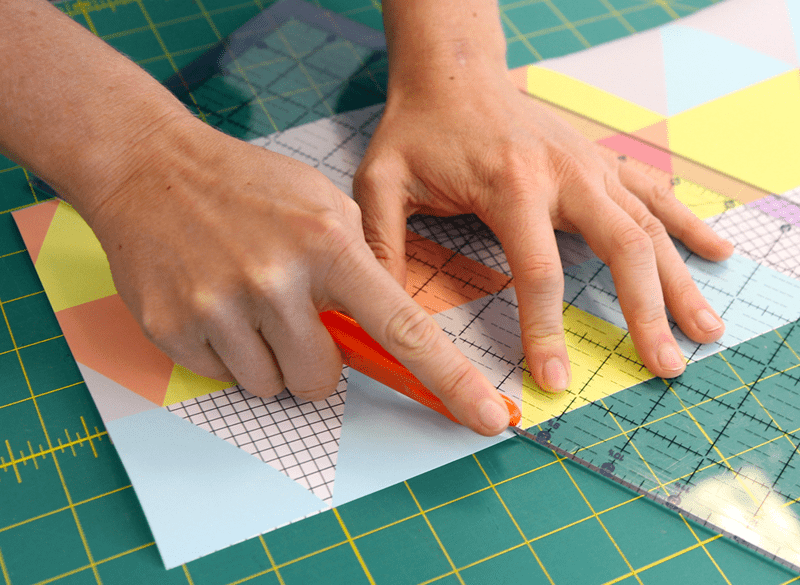 Once selected you will cut and paste this corner of your design to its own layer by using Edit–>Cut then Edit–>Paste. Once you have pasted this quadrant you will use the Move Tool and arrow keys to move it in to place right next to the elements in the top left quadrant making a complete design–like puzzle pieces. Once the top right quadrant is moved into place, your design will look like this. Repeat with the bottom right quadrant. When cutting and pasting the portion of your design in the quadrant, but sure to select the original layer that contains this portion of the design. 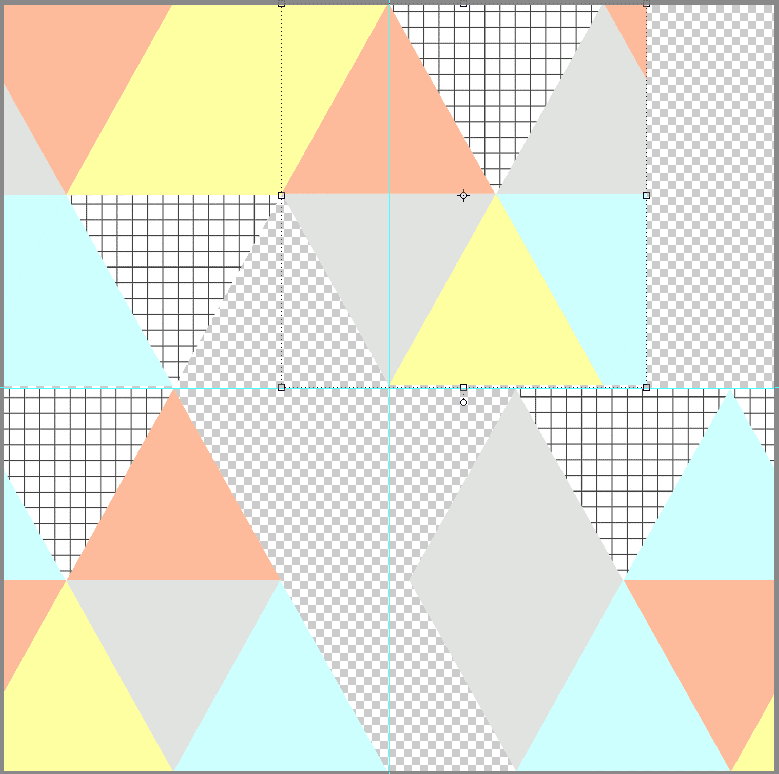 You will once again move the pasted piece of the design into place next to the bottom left quadrant of the design. Once all of my quadrants are pieced together seamlessly (below), I am going to select all layers and merge to create just one layer with my design elements. Since there is a blank pixel line between the top and bottom halves of my design, I need to repeat the cut and paste process, moving the bottom half of the design up slightly to meet the top half. Once you have cut and pasted each piece of your design to make a complete, seamless design, you may notice a few holes in your elements. To fill these in, I will use the same technique as I did when creating each element to fill in the empty space. Now my design is finished and I just need to crop it to get rid of the extra canvas on the right and bottom of my design. Using the crop tool, I zoomed in to make sure I was cropping right to edges. Your design is complete!! 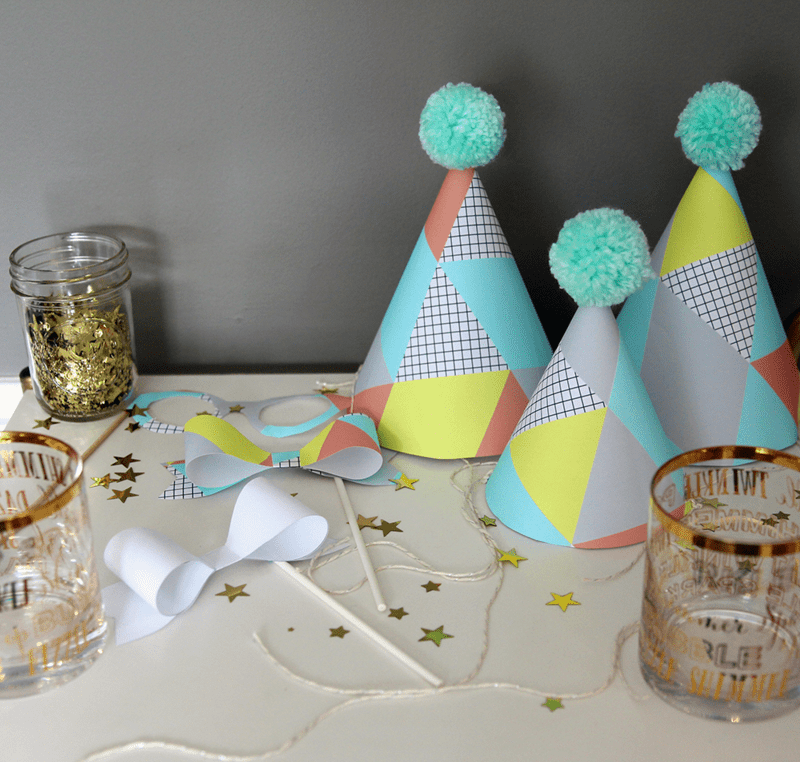 Save as a JPEG, upload to Spoonflower and grab a celebratory drink–you deserve it! 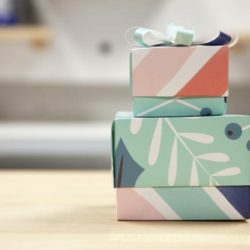 I had my design printed on Gift Wrap to use to whip up some coordinating party supplies–perfect for Etsy's upcoming Craft Party! 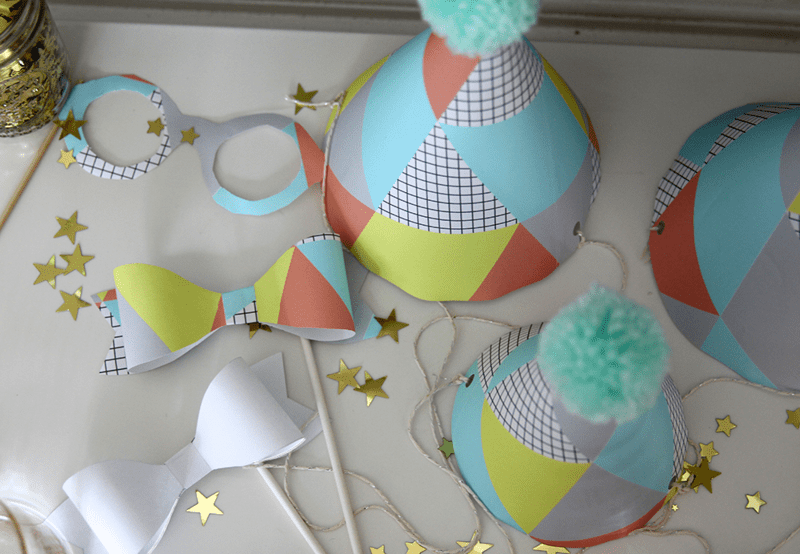 Tell us in the comments below what you would make with your new design. 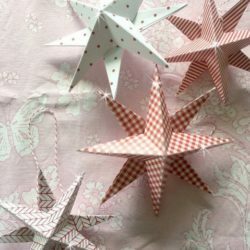 Hi, is this design available on Spoonflower? I really want to use it as curtain fabric. If not can it be made available? Very detailed tutorial! I never used Photoshop Elements, but I might have to give it a try. 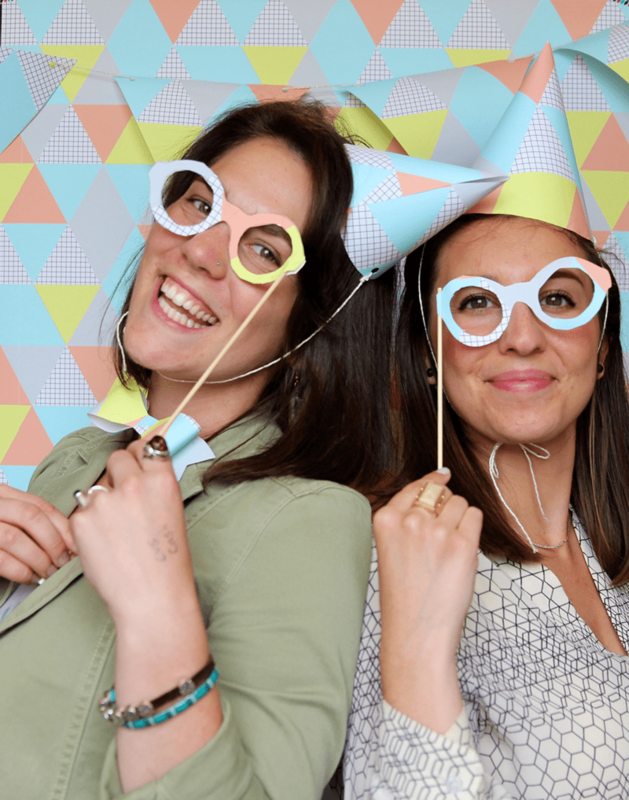 By the way, I love the photos you used in this blog post!